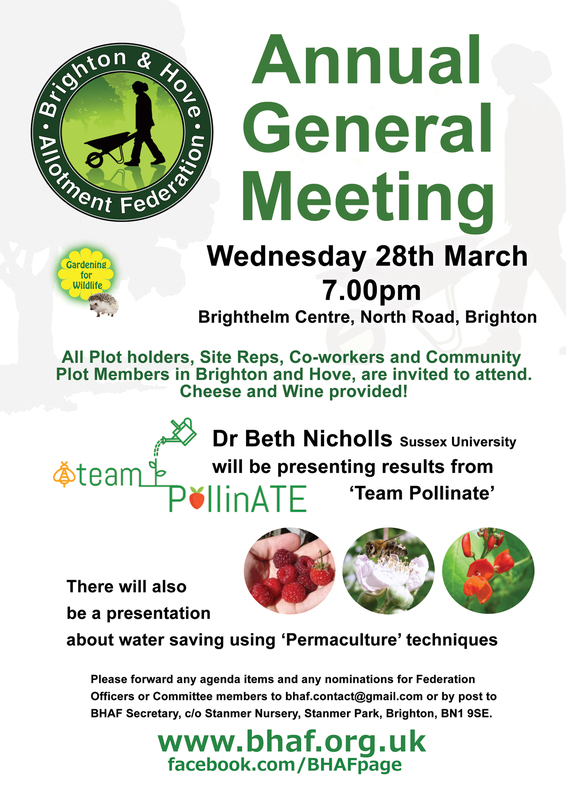 Plot holders, co-workers and community plot members in Brighton and Hove, are invited to attend. Cheese and Wine provided! 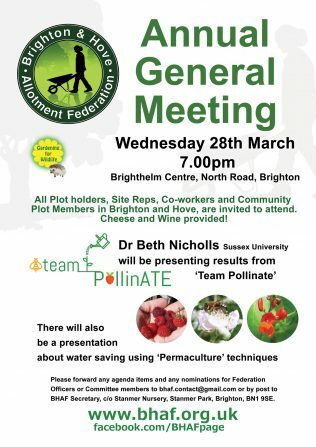 Along with usual AGM business, Dr Beth Nicholls will be presenting results from ‘Team Pollinate’. Many plot holders took part in collecting data for this. We will also be looking at water saving on allotments using permaculture techniques. Water is by far our biggest expense, and keeping that outgoing as low as possible will help us keep rents as low as possible.